The ZA Central registry has confirmed that the. ZA domains have crossed 1.2 million registrations. 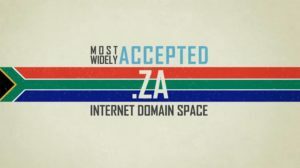 .za is the Internet country code top-level domain (ccTLD) for South Africa. The majority of these domain names are under co.za. These names represent 95% of the total number of registrations in .ZA and a large percentage of ccTLD registrations for the entire African Continent. .ZA Domains are intended for businesses and individuals who are interested in expanding their brands or website in South Africa. .ZA Domain Registration will give you the credibility needed to succeed within South Africa.